We specialize in the installation, modification and maintenance of conveyors, recycling and wood product systems, and miscellaneous metals in industrial and commercial plants, buildings and mills throughout the United States. 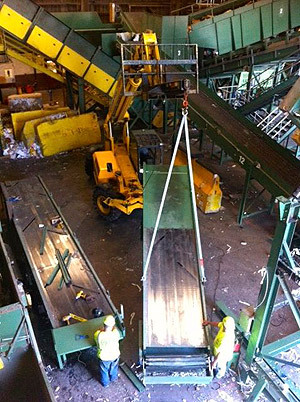 We have performed many diversified projects throughout the US including, but not limited to, the major recycling plants and wood product mills. Along with new construction, we are experienced with maintenance contracts, equipment dismantling and relocation, piping and ducting, steel erection, fabrication, miscellaneous metals and plant & mill shutdowns. Our experience doesn’t stop there. We can assist from the foundation to the roof. 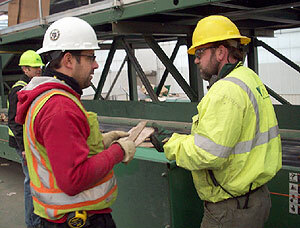 We can even supplement your own crews with trained journeyman, who can help you to meet your deadlines. We bring all of our experience to every project, regardless of size or complexity.